The closeness of city center (Śródmieście) supports the already exceptional amenities with further restaurants, cafes, shops, services and hotels. The positioning of the property provides optimum access from both Zwycięstwa Avenue and Towarowa Street. Tenants using public transport have many convenient ways to commute to work. Within a one minute walk, there is a tram (Lines: 2,3,4,6,7,9,11 & 12) and a bus stop. The city’s High Speed Train Station (SKM) is accessible via Gdańsk Polytechnic Station within three minute walk. Train connection to Lech Wałęsa airport takes only 20 minutes by train and Gdańsk Główny Railway station is only two stops away. Tenants coming to work on bicycles can reach the building using a designated cyclists’ path along Zwycięstwa Avenue. Bicycles can be stored safely in the indoor bicycle parking area, within the garage. Bicycle parking is free to use for tenants, along with changing rooms, showers and lockers for personal belongings. 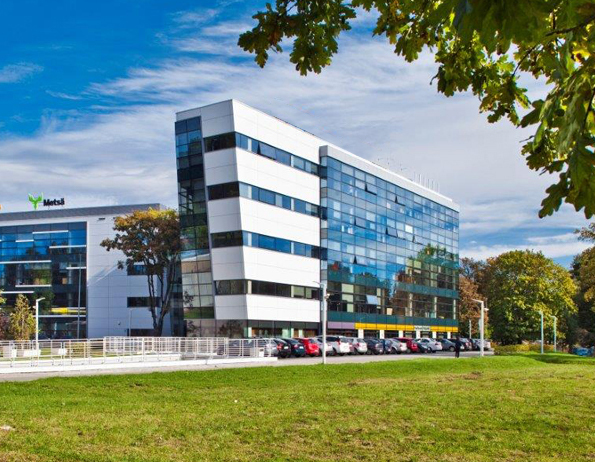 The building is located in the immediate vicinity of the Baltic Opera, Gdansk University of Technology, LUX Med and the Academic Sports Center providing swimming pools, gym and sports hall. There is the Multikino cinema with public parking nearby and conferencing facilities.